Even though Guyana today is an independent country, they have maintained many manners from the colony time. In 1650, the Dutchmen founded the three colonies Essequibo, Demerara and Berbice, that eventually became Guyana. After some decades, the English plantation owners showed up and started the rum production. At that time, they categorized the products by the trademark belonging to the plantation producing the product. This is a system that is still used in Guyana today. Versailles Distillery was originally on the West bank of the Demerara. Rumors say that this still is at least 150 years old, but it could be much older as there is no documentation from when it was built. Diamond Distillery benefits from being able to operate the last two original Wooden Pot Still in the world of which this Versailles Still is one of them, and the other is the Double Wooden Pot Still from the Port Mourant Distillery. Both stills are valued by blenders and other experts as sources of very heavy bodied, very flavorful, and deeply aromatic rums. Nose: Old Marsala cask, ripe bananas, almonds, vanilla sugar, toasted bread, prunes and raisins. Palate: First the alcohol strikes and leaves a dry mouth feel. 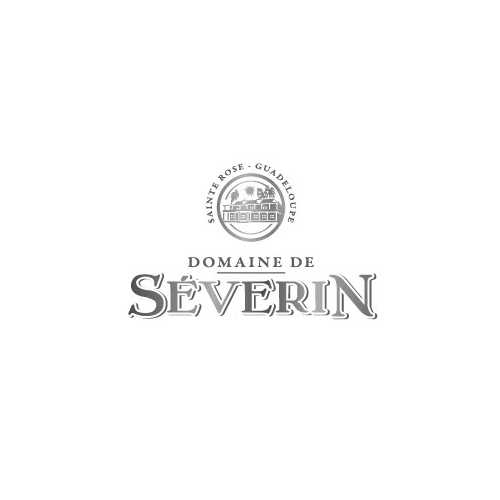 Afterwards it opens with lots of oak, light caramel, bitter citrus like pomelo, star anise, liquorice and cinnamons. 1423 – World Class Spirits is a Danish liquor firm established in 2008. It all started as a hobby with a strong passion for whisky and rum. Today 1423 is one of the fastest growing distributors of premium liquor in Denmark. It all started at a whisky fair in Denmark. Bintu, Joshua and Glenn had a passion for whisky, but after they tasted rum, they were seduced. Shortly after they bought their own barrel with rum and soon it all went very quickly. Shortly before the release of the first rum, Parminder joined. The first rum was released in the start of 2009. In 2012 Thomas also joined 1423, and now they were five owners. 1423 is built on the principles that quality, price, service and hard work walk hand in hand. 1423 is proud owner of the three brands: Ron Esclavo, S.B.S and Ron Compañero. Slavery hangs like a dark cloud over the history of rum. For many years, the two were inseparable. Not only was rum the drink of slaves, but it also became profitable for plantation owners to buy slaves from pirates to work on their sugar plantations, which first began when Christopher Columbus arrived in America. These sugar plantations lead to the first established rum production in the world. Christopher Columbus brought sugarcane farmers on his ships from the Caribbean islands. There he established sugar plantations on the Hispanic islands of Puerto Rico, Jamaica, and Cuba. Born out of the work of slaves, sugar became a profitable market. Because of the mass production of sugar there was confusion of what to do with all the extra remaining sugar. Sugar farming spread to the surrounding areas including Brazil. The Portuguese in Brazil cracked the code when they began taking the juice from the sugarcanes and making a rum-like drink, which they would either pour on the slaves or sell to pirates. Years later the world’s first rum distillery opened in Barbados. All the sudden rum was not something that was poured on slaves anymore. Rum became a product that could be exported. England’s middle-class was one who took the importation of rum very well. The early rum was described as “strong and burning with an unpleasant odor,” and was given the name “Kill-Devil.” However, the quality increased after some time and the drink took on the English market. For a hundred years, the importation of Rum to England increased from 1000 liters to 9 million litters and an unaccounted amount was smuggled into the land through many pirates. At this point, rum had taken over the western world. Suddenly the status of rum was lifted, but this did not mean anything for the many slaves working in the plantations. Their slave labor was still a vital part to the production of rum until the late eighteen hundred. Some places were quicker than others to abolish slavery. Denmark and Norway were the first to abolish slavery in 1803, but the slaves remained slaves and their children were born into slavery. The British islands abolished slavery in 1833, but it was only in 1848 that slavery was finally abolished on the Danish-West Indian islands by general governor Peter von Scholten. He lived together on the islands with his free colored wife Anna Heegaard. It has been said she may have had an influence on the slavery abolition. In 1847, Peter Von Scholten could finally abolish slavery in its entirety, where children born from slavery were to be treated as free and where slavery was completely put an end to in the matter of 12 years. Already a year later after the abolition, a slave revolt broke out, and slave leader John Gotlieb also known as General Buddhoe took control over the town Frederiksted on the island of St. Croix. Peter Von Scholten took the matter into his own hands. He went to Frederiksted and dealt with the slaves even though he did not have permission. He released many slaves which was a big disappointment to plantation owners and the government of the West Indies. As a result, Peter von Scholten had to leave the Danish West Indies in the dark of night. Ron Esclavo - “Slaves rum” is a celebration of not the rum that slaves drank, but for the slaves who paid a high price for the rum to be widespread during its first years and to the ones who traveled and fought against slavery. To them we raise our glass! Ron Esclavo, from slavery to bravery. Ron Esclavo is by Oliver & Oliver in Santo Domingo. The Dominican Republic is home country of many of the world’s most famous rums. 1423 have many years of experience with trading Dominican rum. This is a series of quality products which contains three unique rums plus our special Ron Esclavo XO Cask at 65% alc. Esclavo, Spanish word for slave, named so to pay homage to the people who paid the highest price for us to enjoy this amazing liquor today. Originally, rum was produced to cover the local demand for cheap Alcoholic beverages, but it was also used by merchants to trade with. It was packed in wooden barrels for easy transportation and brought to Europe by sea. The Ron Esclavo is a tribute to the high-quality rums, that is being produced on the island today, and an example of the change in the way of making rum. Instead of being a mass produced Cheap Alcohol, it is now a High-Quality product aged to perfection. The idea behind Ron Esclavo was to make a sweet and intense rum. Esclavo is a pleasant rum – both for men and women. On the nose Ron Esclavo family is tempting, delicious and sweet like the taste. 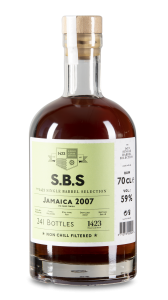 For the S.B.S brand, 1423 has chosen the finest spirits. As the name indicates, there is only one barrel per product. Every barrel has been handpicked, and every release is limited to the content of the one barrel selected, so you will only find a limited number of each bottle. 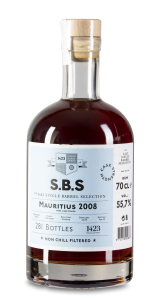 The three products in the S.B.S brand represents rum from different countries like Fiji, Guyana, Barbados and Jamaica. This is classic rum and none of the products in this brand are blended. The purpose with the S.B.S brand is to present you to the versatility of rum and offer you unique quality, exquisite taste and enjoyment. Compañero is the Spanish word for companion, and it frames this series of products from 1423 where taste, complexity and finish are ultimate keywords. 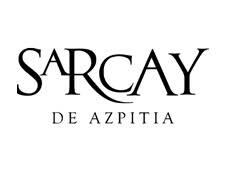 The three current products is from the Caribbean, but this is just the start of a series of products where you will find different types of rum from different countries.